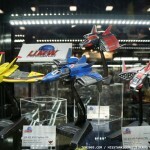 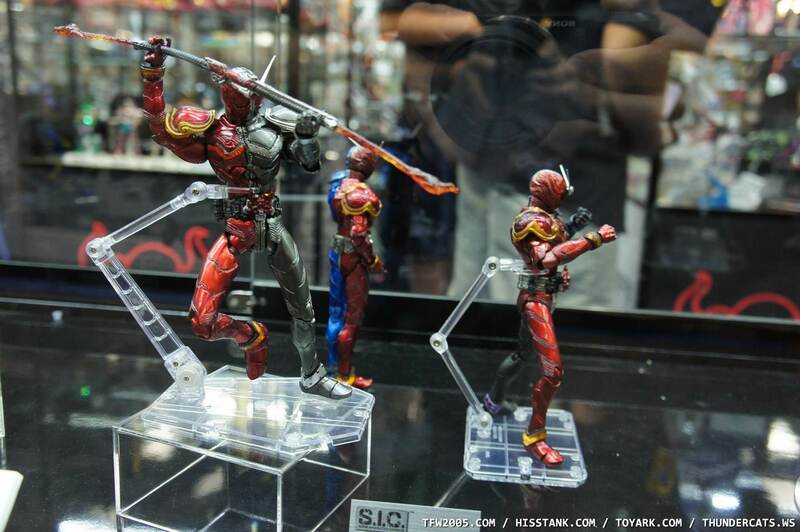 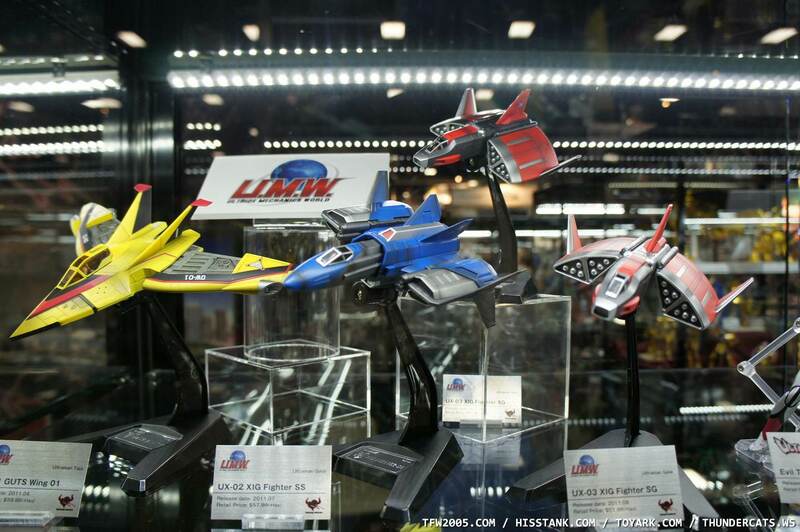 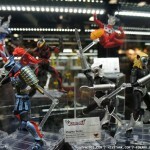 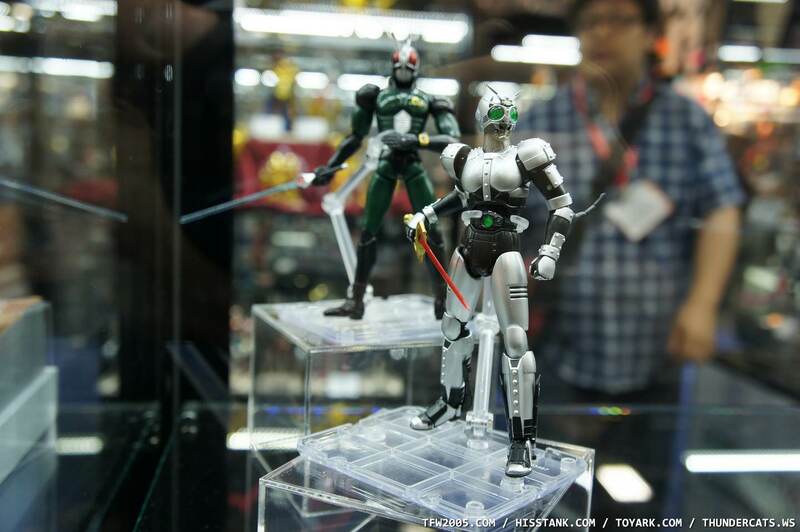 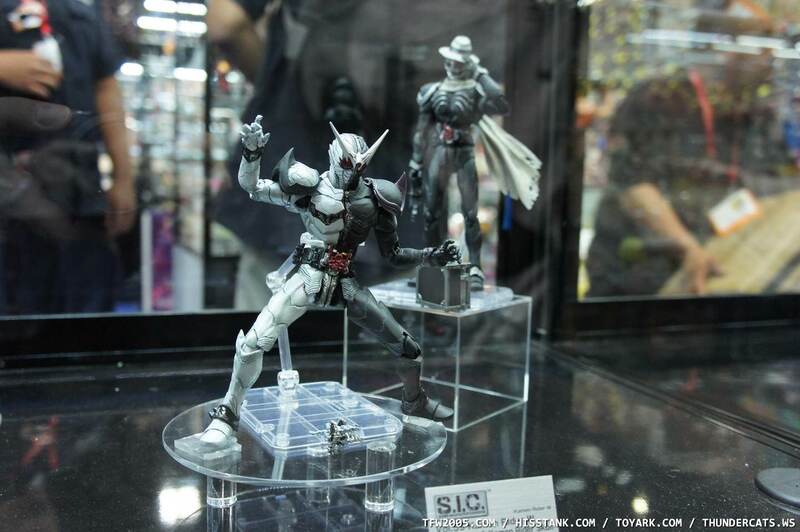 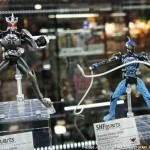 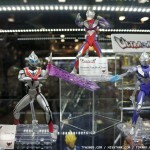 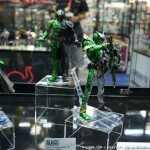 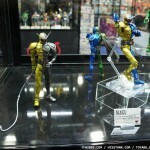 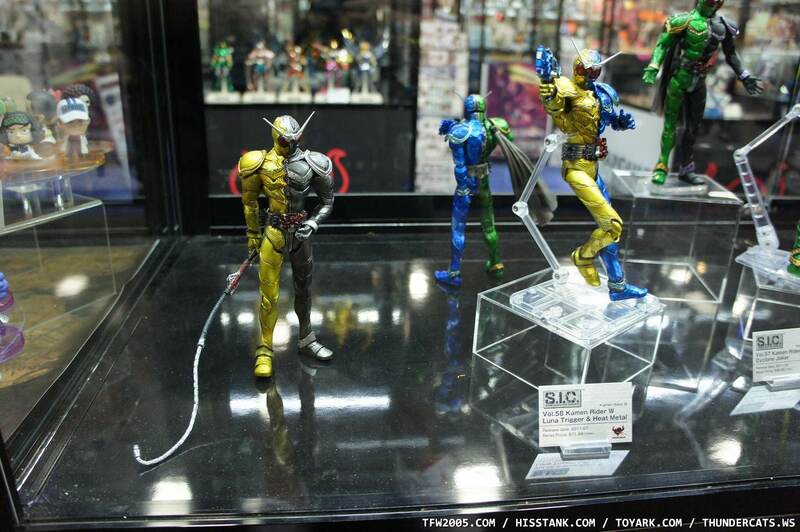 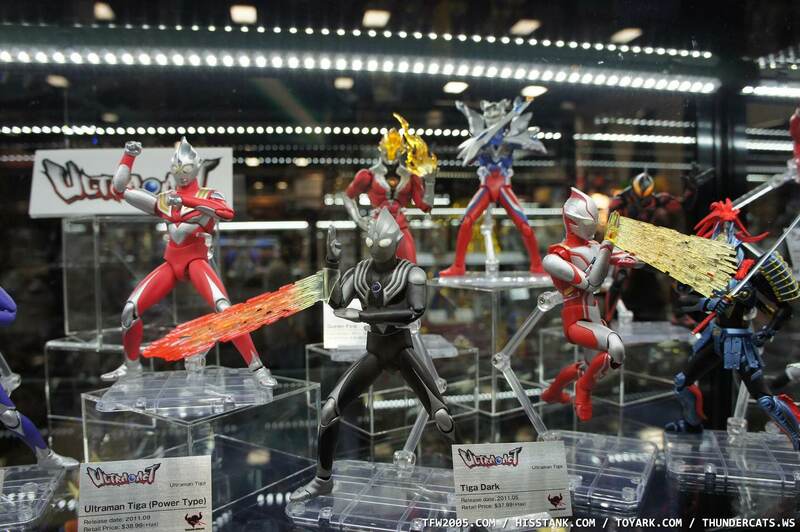 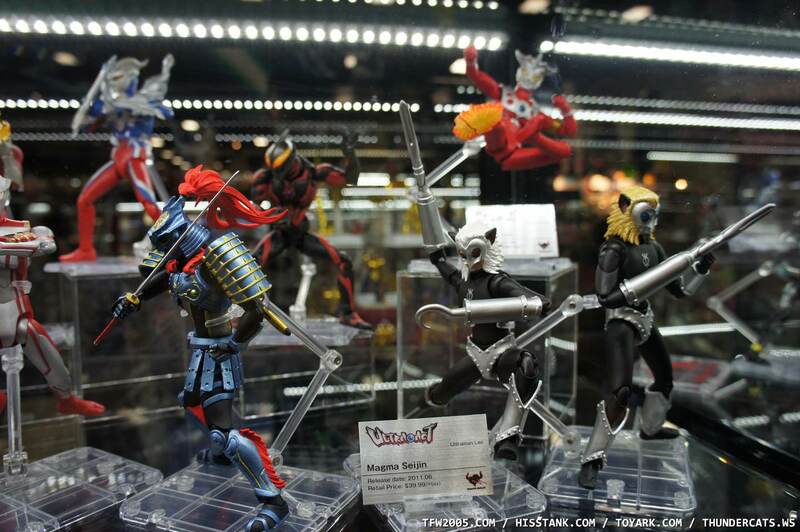 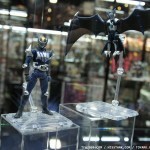 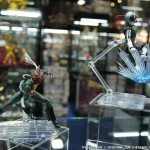 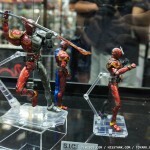 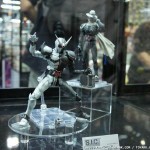 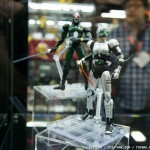 We have some photos of the Kamen Rider display from Bandai at San Diego Comic-Con 2011. 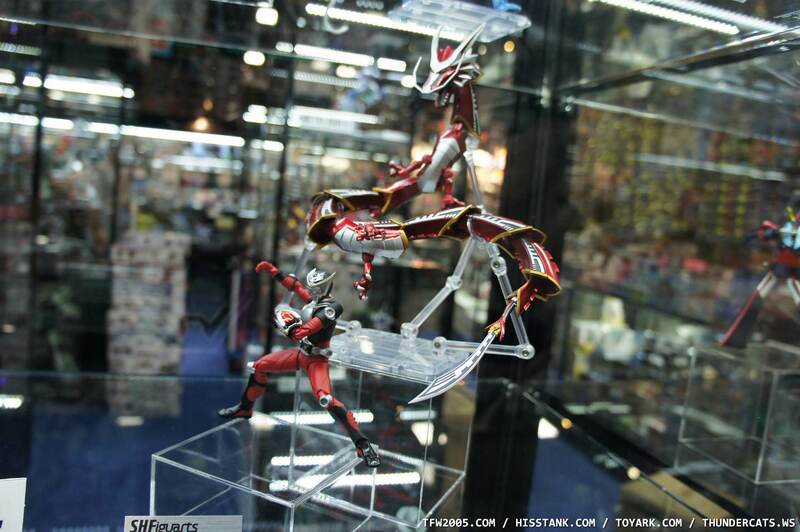 Ultraman and Kamen rider. 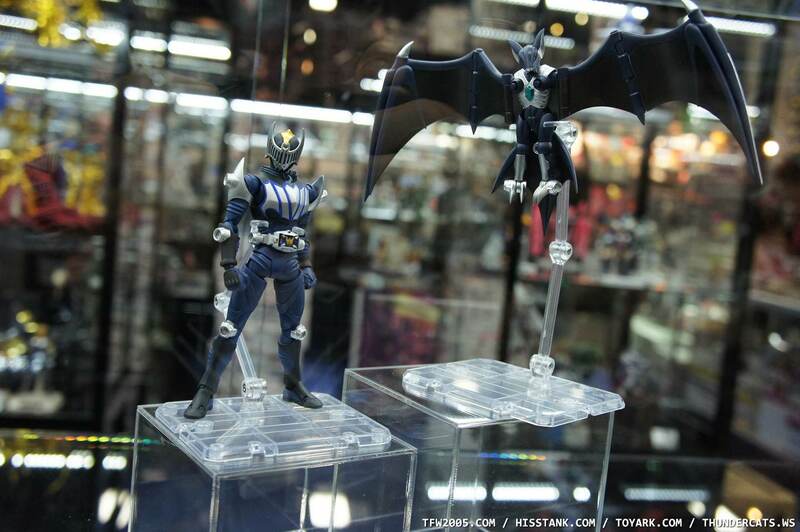 There are some ultra-act figures. 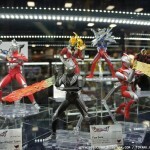 They all look fantastic, but makes me miss the MRS line. 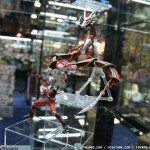 I need that Amazon. 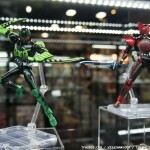 I don't know why, but I just do. 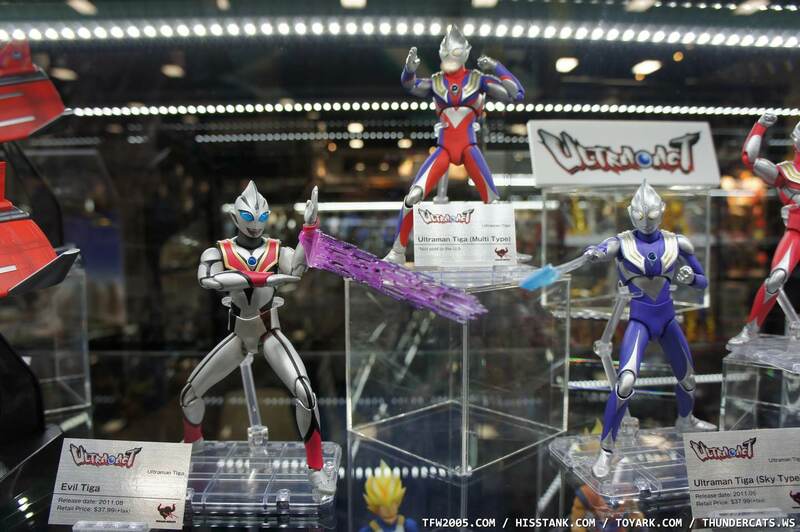 Also, the upcoming Super-1 has all of his hands, which is really cool and may just land him a spot in my collection. 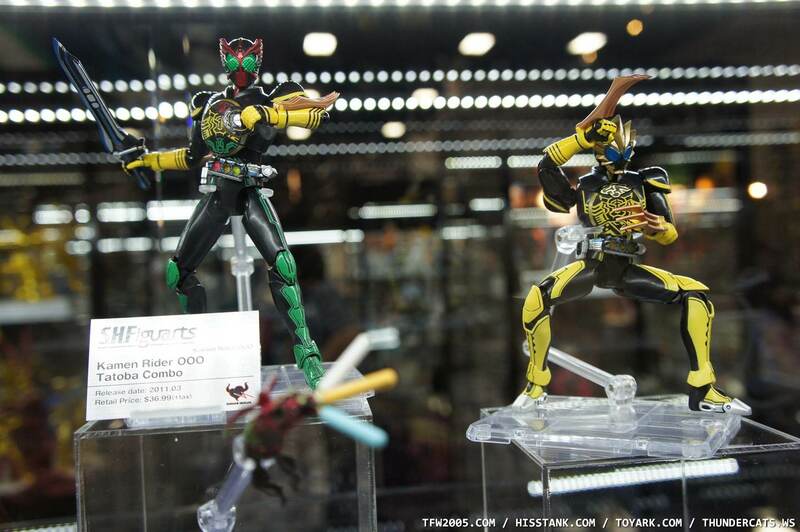 It was kind of sad not to see Decade Complete form there this year. 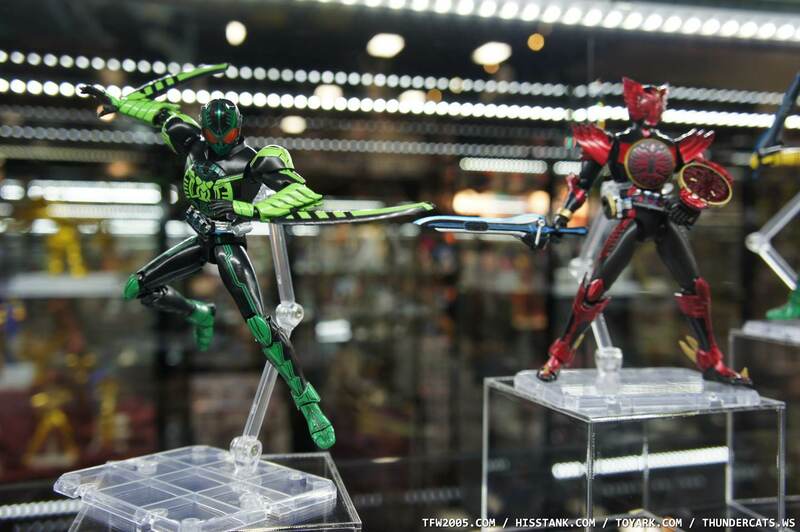 I saw it in last year's SDCC display and it is what got me interested in Kamen Rider in the first place. 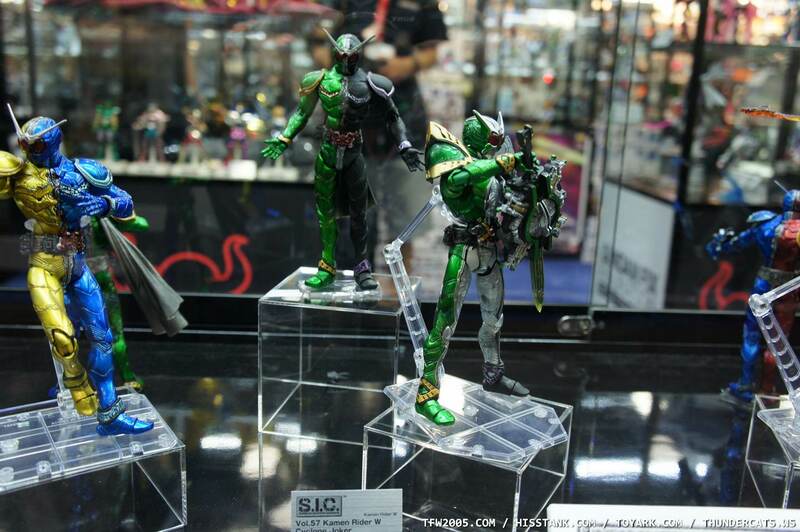 Interesting thing though, this year they were actually selling several Kamen Rider Figuarts at the booth, last year they did not. 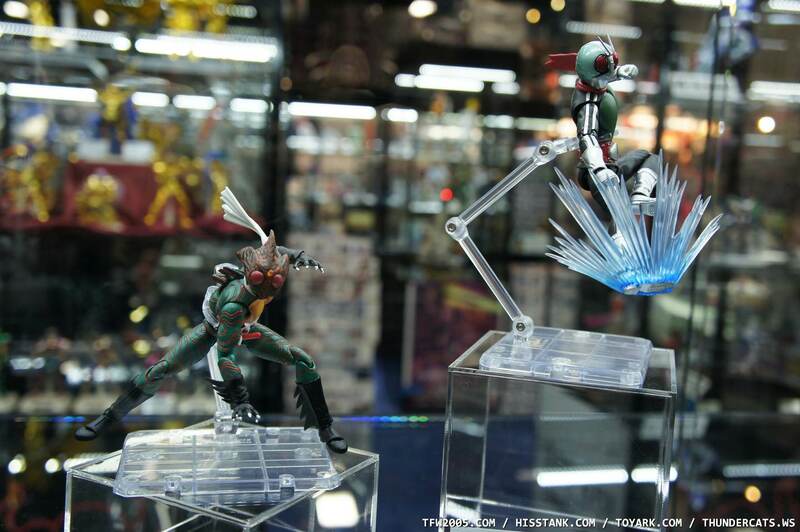 There are also displays of the Kamen Rider model kits, and they are purchasable as well. 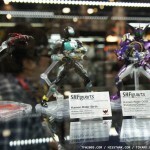 I contemplated getting one but have no experience with Japanese model kits, and I would probably rather have a figure. 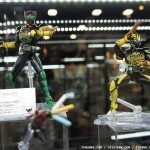 Unfortunately Decade is the Rider from two shows ago, so it looks like it was mostly OOOs and the newer stuff this year. 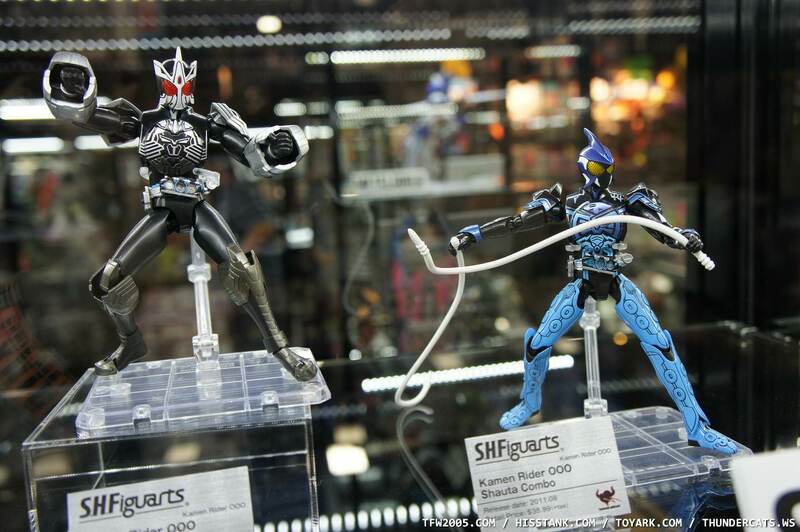 Those Ryuuki and Knight Figuarts are looking nice. 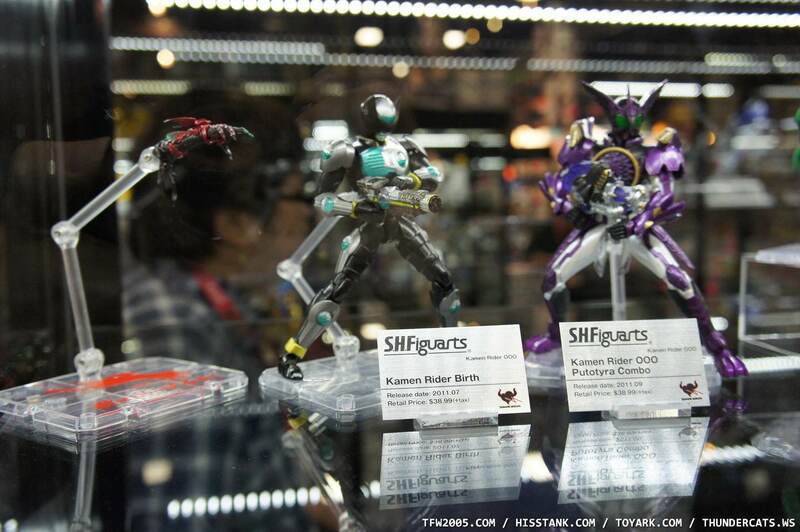 I'm glad I didn't get those Figmas now.